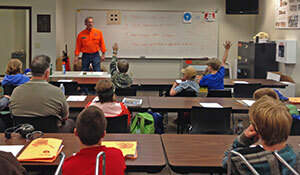 Do you enjoy mentoring children and others in firearms safety? If so, the HIT Program is looking for interested men, women, and apprentices (ages 14–17) to become Volunteer Instructors. Instructors teach Hunter Education, Bowhunter Education, Crossbow Education, and Muzzleloader Education certification courses across the state. It is a volunteer position that provides many rewards. HIT Program volunteer instructors assist in developing safe Alaskan hunters, improving hunter ethics and responsibility, and passing on a valuable tradition to thousands of new outdoor enthusiasts. See the document below for details and application materials to become a HIT Program Volunteer Instructor or contact the HIT Program Administrative Office at (907) 267-2187. For questions about the volunteer instructor trainings, please contact Kirk Lingofelt at 267-2373 or kirk.lingofelt@alaska.gov. Current instructors: Please check this section for all the new information and news that you may need in order to stay current with changes within the HIT Program. Click here to log in to the instructor page with all the forms needed for teaching.